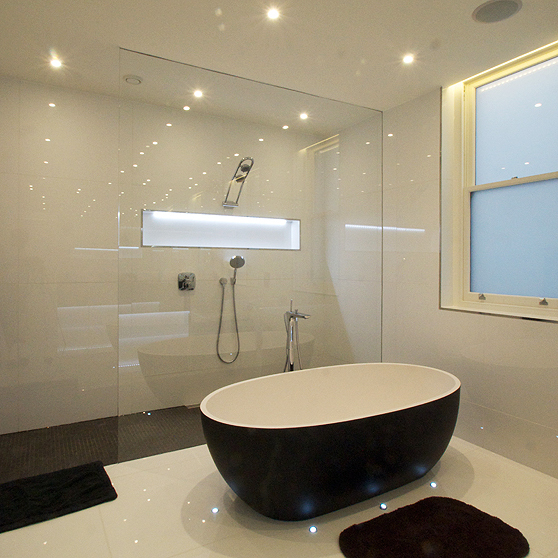 SSI True Frameless has substantial experience in delivering and installing large walk-in shower panels. It is worth mentioning that suitable access for large pieces of toughened glass is a consideration that is often overlooked. Bathrooms are frequently upstairs and it is nearly impossible to check by eye whether the desired size will be able to navigate around corners, let alone being able to check whether the heavy load can be spread evenly between the correct amount of fitters required to lift. The best way to be sure that a large frameless glass shower panel will fit safely into the room is for the main contractor on site to make a physical template that cannot easily be bent to check with, before setting out dimensions for the wet room floor. Our clients often prefer to see the glass finish at a grout line so it can be disappointing if access issues are not thought through early on. 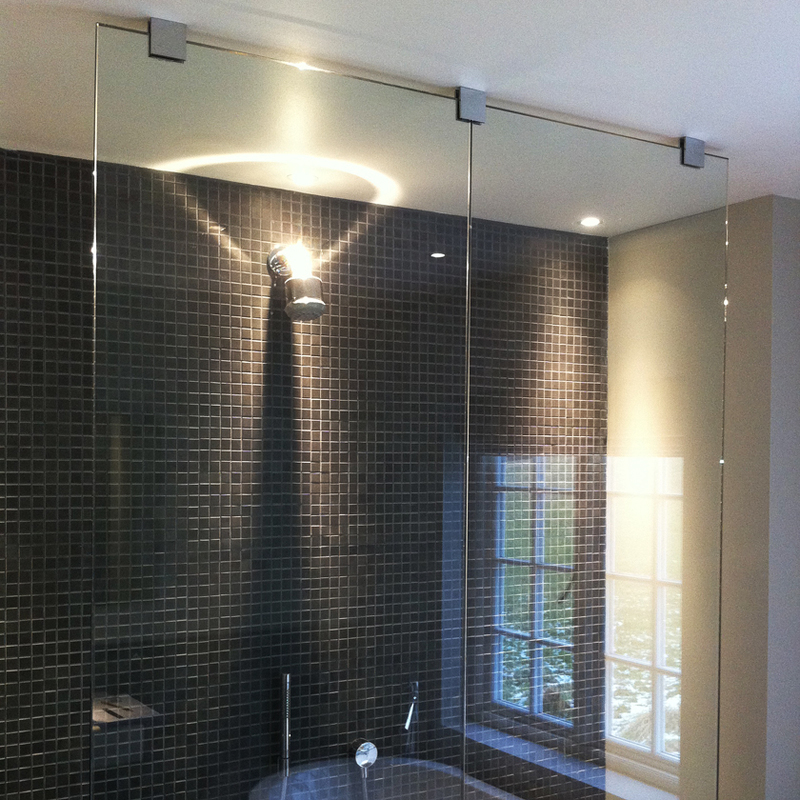 If there are access issues but still a requirement for a wide or tall shower screen, SSI has some very desirable bespoke solutions. SSI True Frameless does an expert job of surveying and installing large frameless glass panels to overcome design challenges whilst gaining stunning results.